Our enclosures are made in the USA. 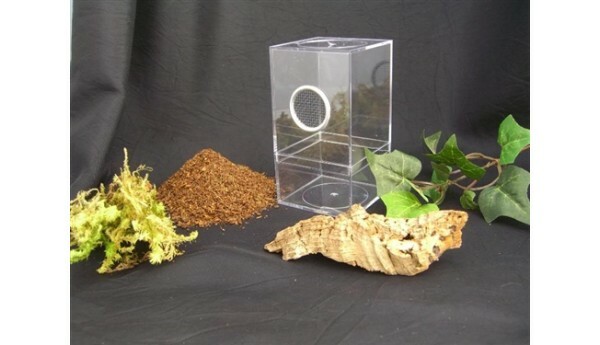 Arboreal Spiderling kit measures 2 1/4" square x 4 1/4" tall. This kit is recommended for arboreal s.. 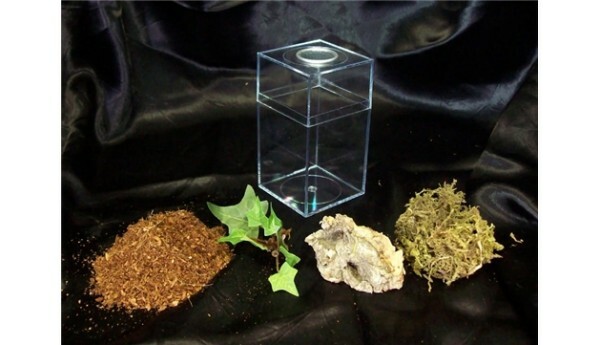 Here our terrestrial spiderling kit measures 2 1/4" square x 4 1/4" tall. This kit is recommended fo..